It was a scene with a timeless appeal. It would not have looked out of place even centuries ago. 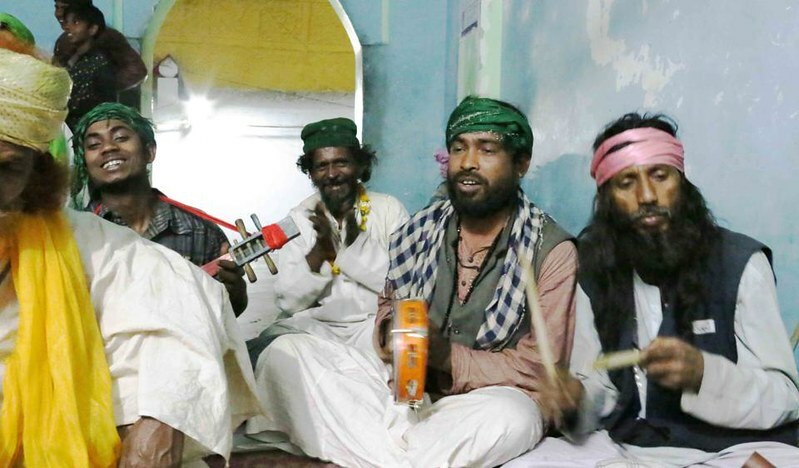 One night while walking down a lane in south Delhi’s Mehrauli village, The Delhi Walla heard the discordant cry of several men singing together. The sounds were coming from a dimly lit hall. I climbed the short flight of stairs to find about a dozen men huddled on one side of the hall. Most of them were wearing kaftan-like costumes. Some had turbans, and others had scarves wrapped around their forehead. Almost all had beards; many had long hair too. The men were singing a Sufi qawwali; this was not surprising since I was steps away from the shrine of Khwaja Bakhtiyar Qutubbudin Kaki, the patron saint of Mehrauli. 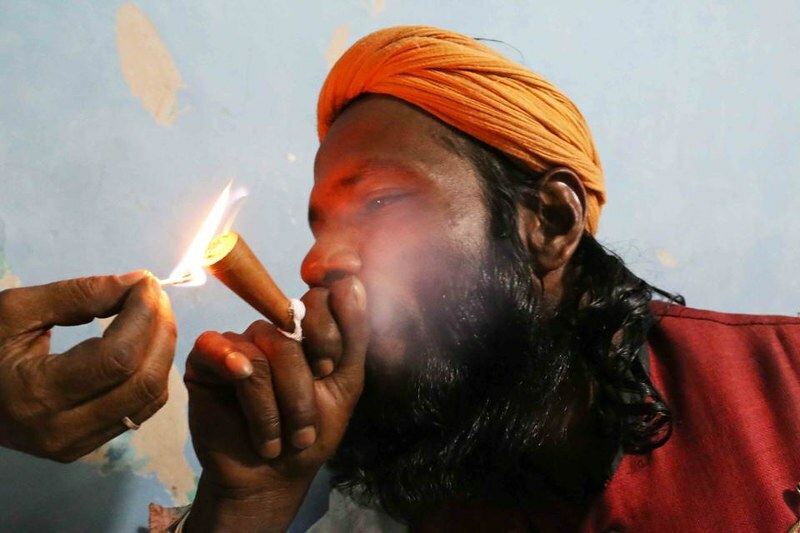 Some of the men were smoking chillum. 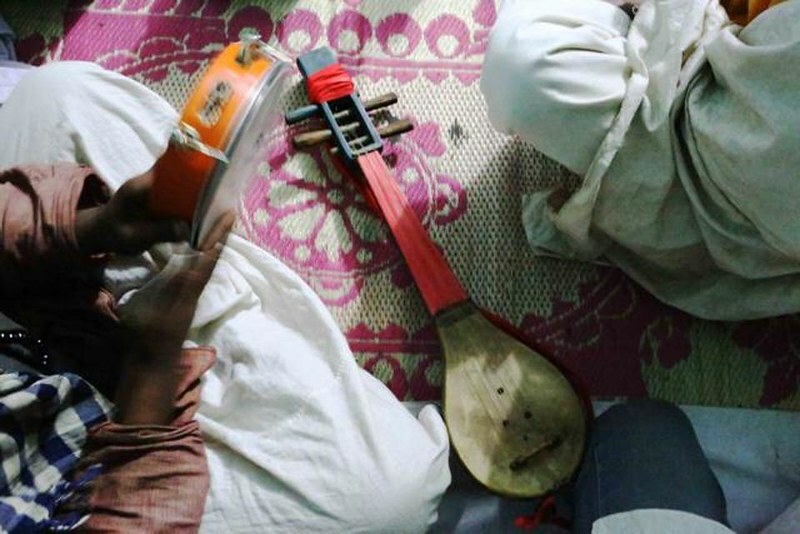 Others were playing musical instruments, including a pink string-like contraption that one usually sees with the Baul singers of Bengal. The qawwali was being performed in a language other than Urdu or Hindi, and as it reached its climatic fervour, some of the men stood up, swaying and clapping, and started to repeatedly intone ‘hoo’ in a cadence so infectious that I was also tempted to join them. The music soon stopped and we started to talk. 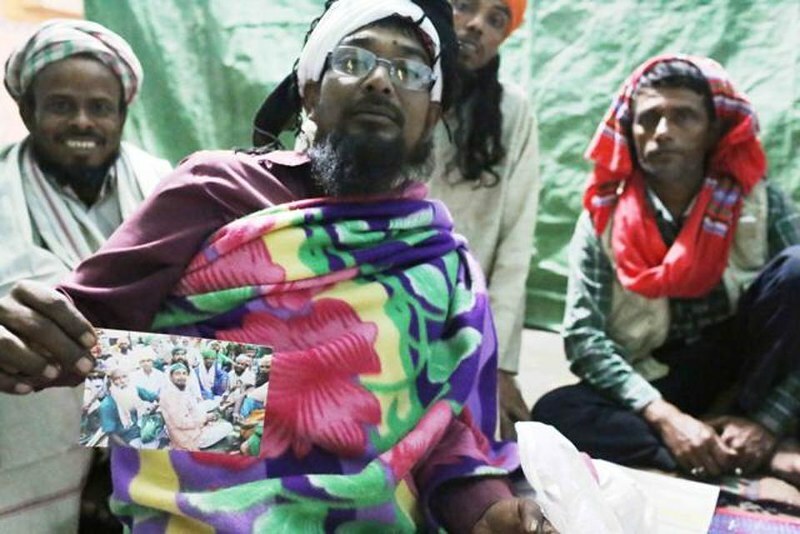 It turned out that these men were Sufi pilgrims from Assam who had arrived in Delhi the day before in Sampark Kranti Express. They had already visited Hazrat Nizamuddin’s shrine in the capital, and two days later they were leaving for the dargah of Khwaja Gharib Nawaz in Ajmer. They said they would walk all the way — and Ajmer is more than 200 kilometers from Delhi. Walking from the Mehrauli shrine to the shrine in Ajmer is part of a tradition to celebrate Gharib Nawaz’s Urs, or death anniversary, to be held later this month. Urs symbolizes the union of the lover with the beloved, who is God. Both Mehrauli and Ajmer shrines are part of the same Chishti order of Sufism. “The people who walk from Mehrauli to Ajmer tend to be mast qalandars, the wandering mystics,” Sufism author Sadia Dehlvi told me on phone. One of the men, Muhammed Hussain, said that they all might look to me like fakirs, who have renounced the world, but they were actually pursuing regular livelihoods back home in Assam. “Some of us are labourers, some are rickshaw pullers, some are vegetable vendors,” he said. Another man claimed that he had been making this annual pilgrimage to Ajmer for many years — he showed his photographs as proof. 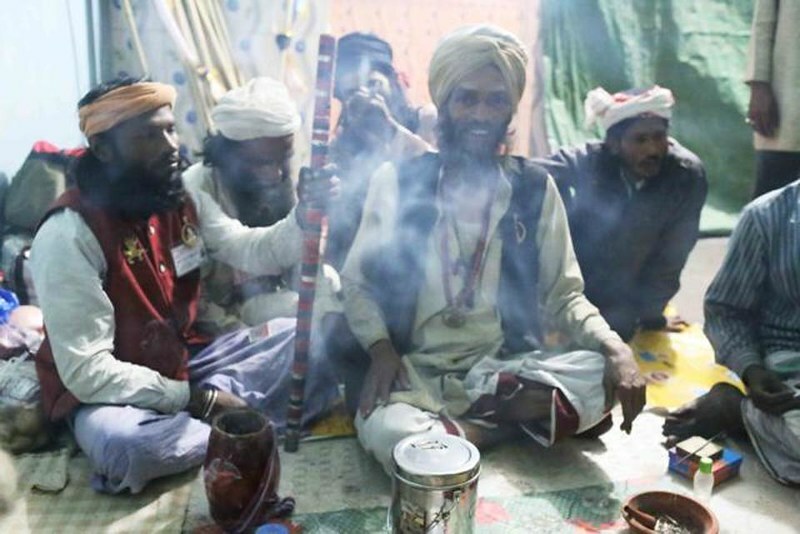 In some ways, these Muslim pilgrims are similar to Hindu Kanwariyas who walk back home every year during the monsoon from Haridwar with Gangajal, the holy water of the Ganga. It was beyond midnight as I left the ‘mast qalandars’. Before I could walk even a hundred steps, I heard them breaking into a new qawwali.